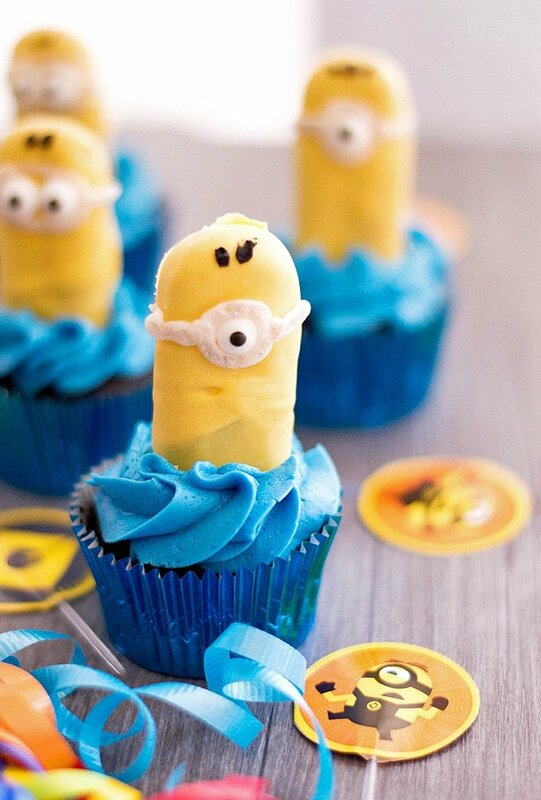 Minion Cupcakes with ladyfingers are as fun to make as they are to eat! 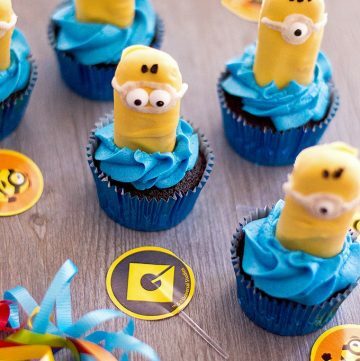 They’re the perfect sweet treat for a Minion theme party! 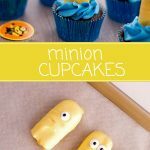 I hope you enjoyed the Minion Whoopie Pies I posted yesterday because as promised, here are cupcakes which are just as super cute! 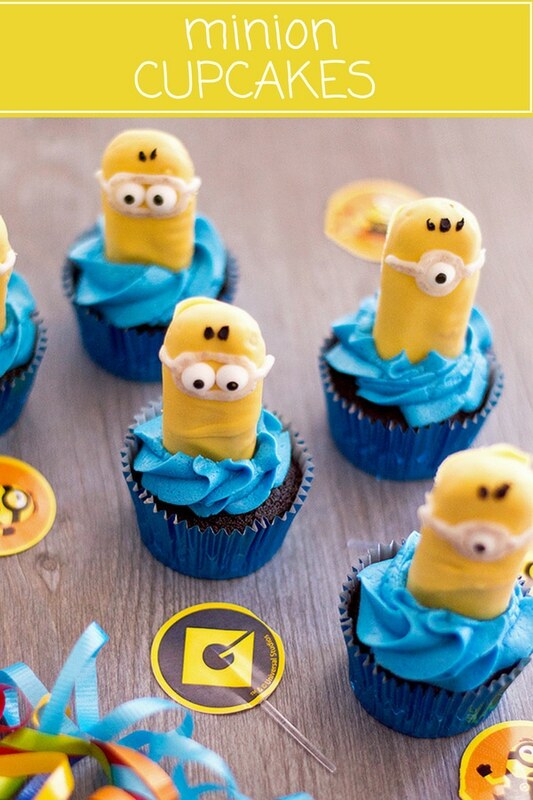 I seriously can’t get over how adorable these Minion cupcakes are. With those wide eyes staring back at ya, it’s so hard to bite their heads off. ? They’re too darling to eat! 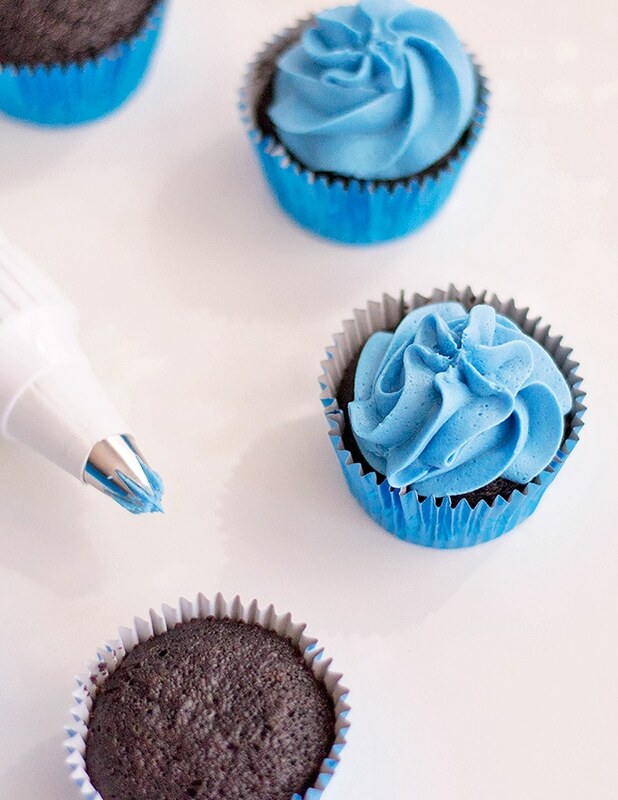 Using a frosting bag, pipe the icing on top of the cupcakes. Line a baking sheet with wax paper. 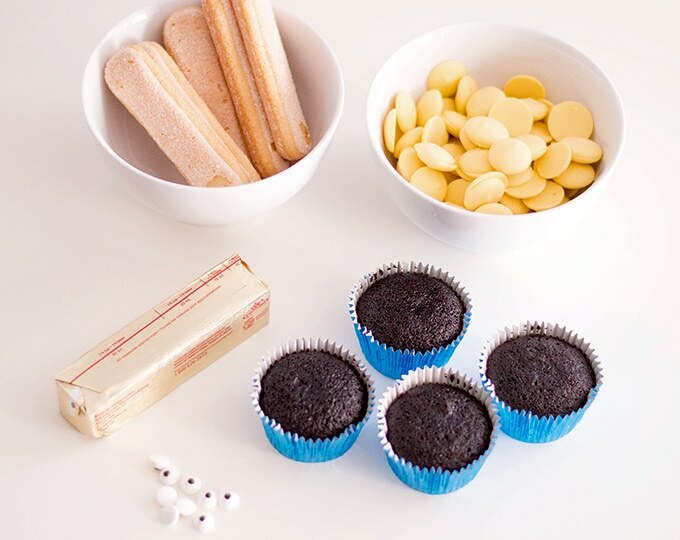 Microwave candy melts and coconut oil in 30-second intervals or until completely melted. 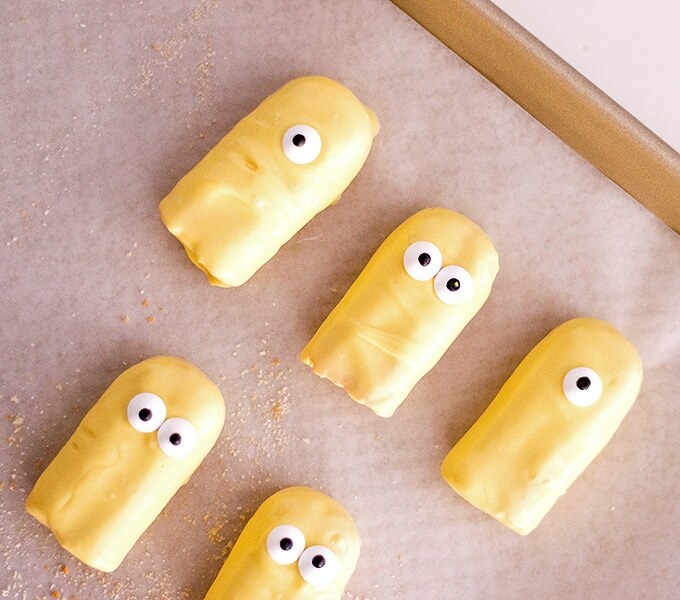 Cut each ladyfinger cookies in halves and dip each half into the melted candy to coat thoroughly. 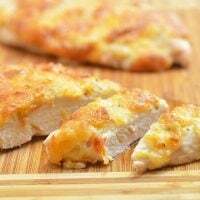 Arrange flat on the prepared baking sheet. 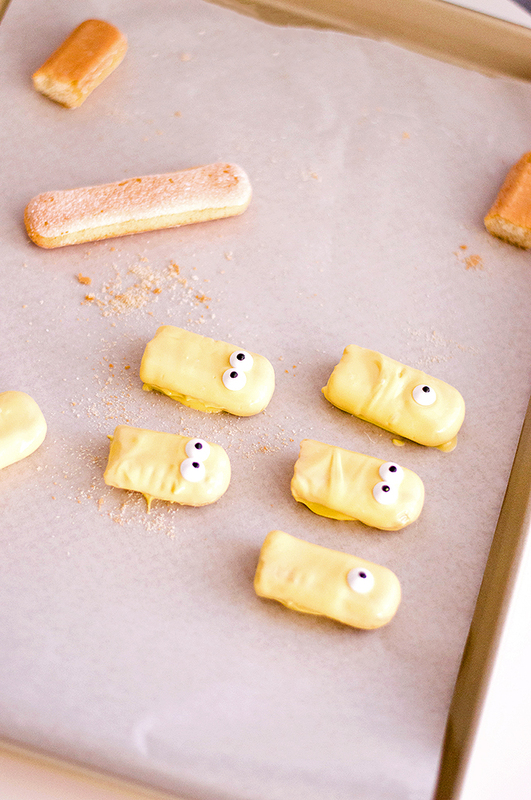 Place 1 or 2 candy eyes (this is an affiliate link) on each coated cookie and allow to set. 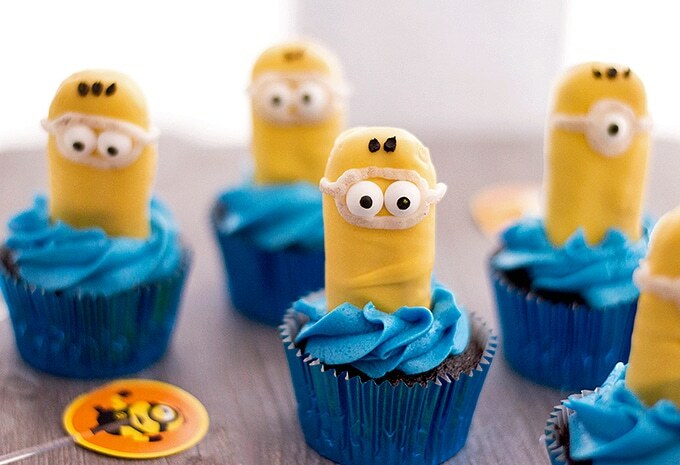 Draw “goggles” around the Minions’ eyes with the white frosting and using a paintbrush, gently dab the silver food dust (this is an affiliate link) on the “googles.” Using the black icing, draw hair on the Minions. 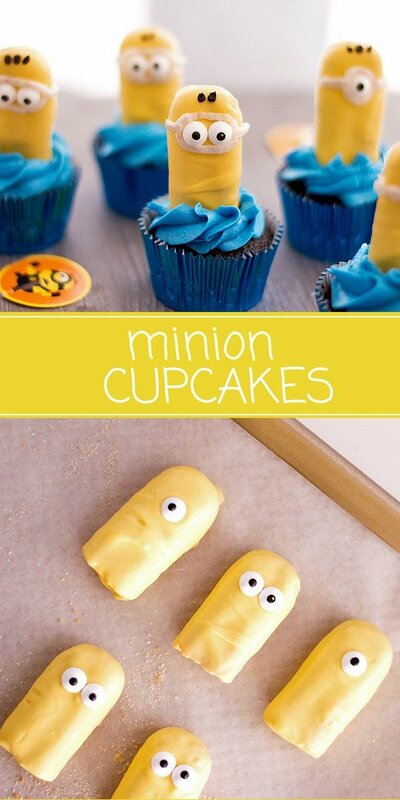 Insert each Minion into each cupcake and presto, Minion cupcakes that will steal the show at any party! And the ❤ of everyone in the room. 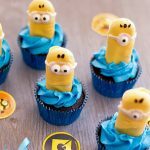 Minion Cupcakes with ladyfingers are as fun to make as they are to eat! 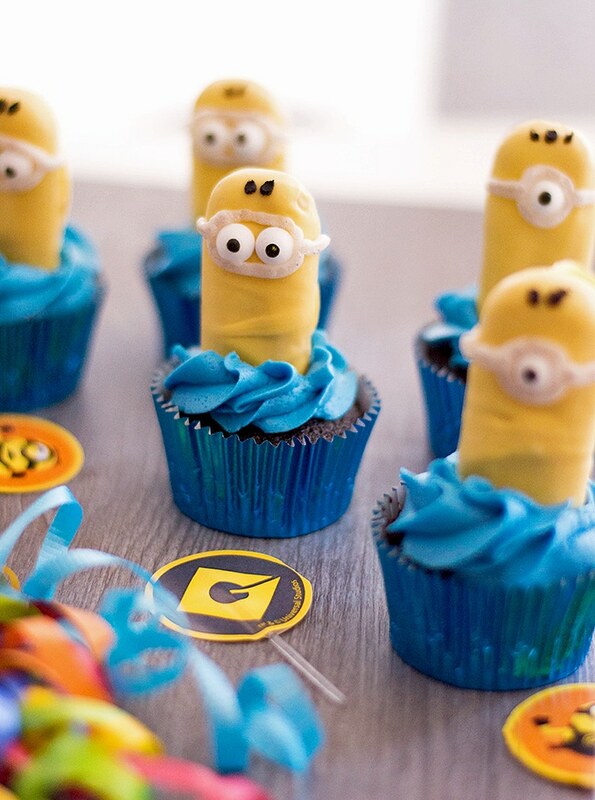 They're the perfect sweet treat for a Minion theme party! 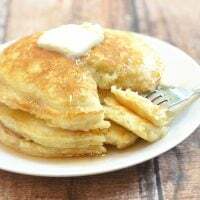 Nutritional info includes eggs and vegetable oil that are usually required in cake mix. 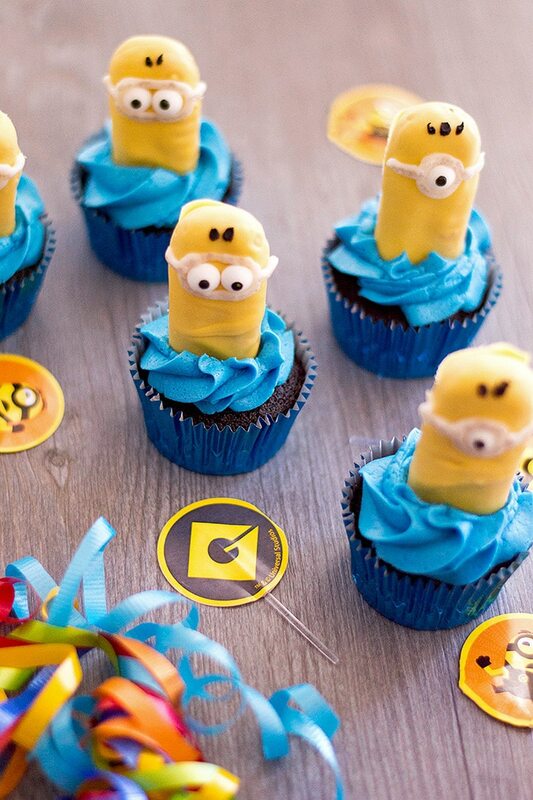 These cupcakes are so super cute! 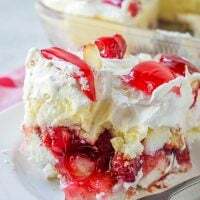 Love that you used ladyfingers – very creative! How freakin’ cute are these?! 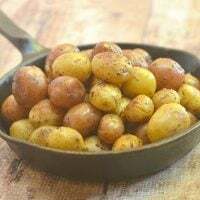 I know my niece and nephew would LOVE them…and me too 😉 They sound delicious too! Hahaha, yes, aren’t they the cutest?